1) If you had to describe who you are in one sentence, what would you say? High Vibe Livin spiritual babe warriors. 2) How did you decide to start High Vibe Living and what is it? High Vibe Livin is a lifestyle. It’s about the tools we use (like Kundalini Yoga, Meditation, Mantra, clean and non-toxic living, and more) to elevate the mind, body, and spirit daily so that your energy is vibrating on a high frequency. When you feel positive high vibe emotions you feel great and will attract more health and happiness into your life. We look at everything from a vibrational standpoint and we are all about spirituality and wellness and want to share it with as many people as possible. We decided to start it because we both went through transformations, changed our habits and are now the happiest, healthiest, and most spiritually connected we have ever been and we feel BEYOND passionate to inspire others to do the same. We feel it is our purpose and our mission to spread these messages and we are so thankful for the people who delivered pieces of the messages that changes our lives to us. It’s why we are here on the planet and we are so dedicated to being a part of elevating the consciousness of more humans! 3) When you picture your happiest life, what do you see? Doing what we love, continuing to spread the messages of wellness and spirituality. Growing, learning, and evolving more everyday and sharing our journey with others along the way. Having time and location freedom, fulfilling our purpose, and living as our true selves. 4) What attracted you to teach Kundalini yoga? It completely changed our lives and so it was the natural next step. 5) Is it important to have a morning routine? What do your morning routines consist of? Absolutely, we think it’s THE most important thing you can do because it starts your day in a high vibrational way so that you can be in the best possible emotion available for you and then you will attract that throughout your day. It also allows you to clear your subconscious mind and be more present. In Kundalini Yoga tradition it is done between 4-6am (ambrosial hours when the energy of the day is creating and when your conscious mind is the most calm). Our routine consists of tuning in to ourselves and the universe (Kundalini Adi Mantra), Gratitude, Breath of Fire, Kundalini Movement, and Meditation. We then drink smoothies, eat healthy breakfast and love to get outside and walk! Step 3: Practice tools to raise the vibration of our energy and emotions. We teach many of them (breathwork, meditation, grounding, etc.). The fastest way through is with feeling strong gratitude for what you currently have, bad days and all. Step 4: Celebrate where we’re at and know every “bad day” is an opportunity to evolve. Repeat steps 1-4 whenever you need it. “Today, no matter where I’m going, or what I’m doing, or who I’m doing it with – nothing is more important than that I feel good. Today, I will look for what I want to see. Right now, I will reach for the best feeling thought that I have access to. Thought by thought, and feeling by feeling, I will focus the vibrations of my mind into alignment with my inner being. Everything happens in perfect timing and in perfect order. Everything that you are going through is for a purpose to take you where you need to go to fulfill your purpose in life. Challenges are opportunities for growth. Focus on yourself, your health, happiness and connection to this universe and you can and will manifest a beautiful life beyond your imagination. To get started living the high vibe life today join Britt and Tara for their FREE 7 Day Raise Your Vibration Challenge! Sign up here. They also just came out with an Intro to Kundalini Collection for the Spiritual Babe Warrior! 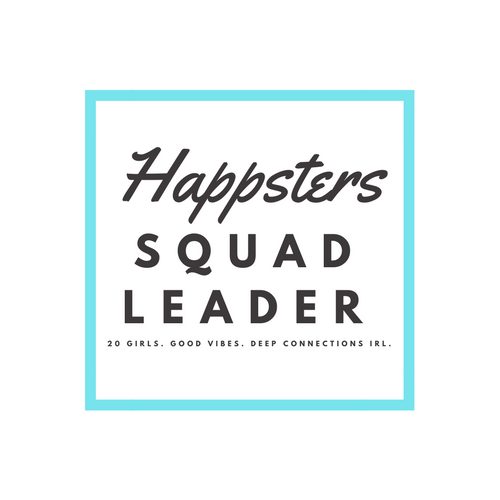 Save 10% with code “Happsters10” Grab yours here. Follow them on Instagram at @highvibelivin.